One frigid morning in February, I was driving to basketball practice on I-35 north of Waco with my teammate. 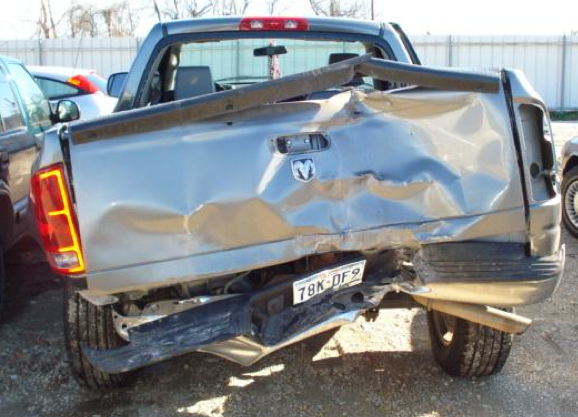 I hit a patch of ice and my truck fishtailed into the right lane, causing an 18-wheeler to slam into us at 60mph. The semi hit us so hard that I was knocked out instantly. Apparently, my truck crossed back over and hit the median before coming to a complete stop. The truck was totaled, but both my teammate and I were still able to play in the upcoming basketball tournament the next weekend. It truly scares me to think about what would have happened if we had not been buckled up. Copyright 2018. Texas Department of Transportation. All Rights Reserved.